As you may already know Cliff Lord passed away on September 21, 2010 at the age of 89. Cliff was truly an icon of Indianola. Cliff helped many of us when we were first married by letting us charge things such as furniture, carpeting etc. and pay or make payments “when ever you can”. It didn’t matter who you were. It is said that Cliff coined the phrase INDIANOLA THE BEST LITTLE CITY OUT WEST and I believe it because he said it all the time. He loved Indianola and it’s people and gave so much to the community. He served over 40 years on the City Council and as Mayor. 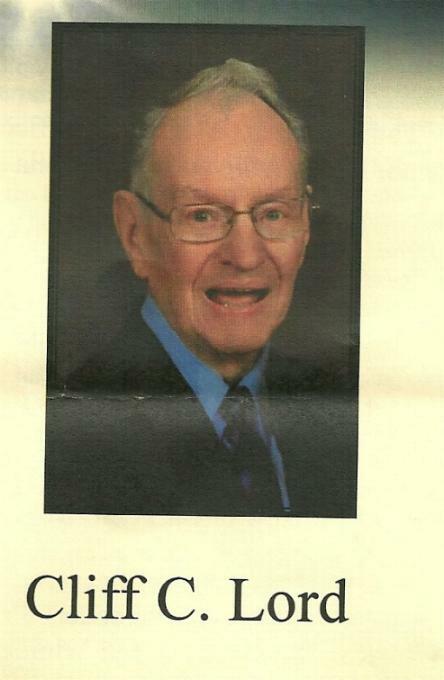 In his obituary is says He believed in service above self – and lived it every day. He always had a smile, and will be especially remembered for his kindness and generosity. There will never be another one like him. God bless his soul.